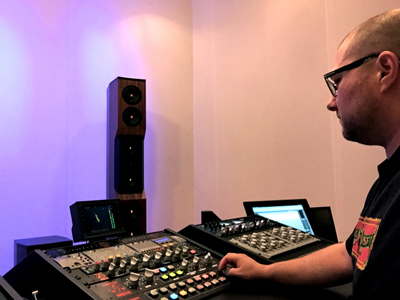 Mastering engineer Colin Leonard works a lot with major record labels on singles, albums and custom masters for the very latest music videos – as well as hit Indie artist projects. At his Atlanta, GA, ‘SING Mastering’ studio he’s built a unique and highly customized analog setup based around a core of Dangerous Music’s Master transfer console and Dangerous Monitor combination, and the Dangerous BAX EQ – among many other pieces of choice equipment and speakers. As Leonard says “It’s a no compromise mastering facility.” Some of Leonard’s recent mastering credits include Echosmith, Kimbra, Icona Pop, Leona Lewis, Justin Bieber, Mastodon and Mystery Skulls, working with record labels such as Warner Bros., Sony Music, Atlantic Records, Republic Records and Universal Records. CEntrance, a leader in Digital Audio announced the i5 Audiophile Case(tm) – a sound card and an extended battery, built right into an iPhone case. 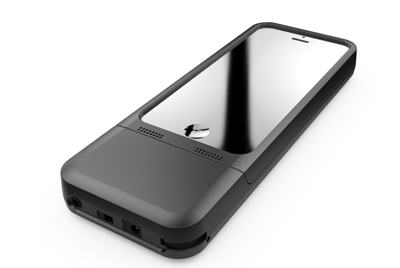 The one-of-a-kind device works with Apple’s iPhone 5, 5S and iPod Touch 5G, wrapping the phone like a glove and creating the ultimate on-the-go playback system. The new i5 Audiophile Case will be featured at the Rocky Mountain Audio Show in Denver, CO., October 9th through 12th. CEntrance’s booth is located at the CANJAM pavilion (https://www.audiofest.net/2014/).